In music, performance and pedagogy often intersect and, as such, I work through these areas to inform pedagogy with performance in the varied and expanding field of music and music education. My overarching goal with our students at Teachers College is to encourage them to reflect on individual musical experiences and consider implications for teaching. As such, I ask them to read relevant literature in the field, consider new pedagogical strategies, and rethink their concepts of musical performance. Classical music is traditionally based on an elite, high skill set which creates a closed circle only for those who are the most talented, can afford their study, or have parents who support the practice and cost of lessons. Reconsidering performance aspects is an important first step toward reevaluating these traditional goals. Performance and active music making for all is one aim of an education system that welcomes all levels of students and asks for a creative pedagogy to involve diverse students in making music. A constructivist approach is aligned with student centeredness in these teaching goals. I model a strong rapport between teacher and learner: I encourage students to be responsible to learn, draw on critical thinking and questioning, and develop a responsive and engaging music pedagogy. Their performances reflect this approach as they develop new, authentic musical voices and likewise acknowledge the uniqueness of their own students’ musicality in the classroom. The student-centered approach differs from the traditional master-apprentice model because it acknowledges a student’s entire being—what the student brings to the table—and builds musical repertoire from within the individual. It also honors the diversity of our students, opens musical genres to include popular music and music from different cultures, and introduces new performance venues and opportunities. As technology continues to change performance opportunities—including, for example, virtual performance—a flexible approach will allow for greater shared possibilities. Helping our students develop as both teachers and musicians is a continued aim for our program. In my class, Teaching Applied Music in College, I spend the semester asking our students to reflect on their teaching and performance with reviewing current literature, peer video reviews, and discussion. Upon completion of the course, they are invited to become “Student Instructors” for our program. I mentor them in this program as they work with students from across the campus. We establish syllabi, develop evaluation criteria, and ask for feedback from our own teaching. Ways of building a community of learners among our studio teachers (traditionally a lonely and isolated experience) include a new Professional Development series and a plan to initiate blogging opportunities in the fall. In all, I mentor between 20 and 25 studio student teachers in addition to the approximately 20 adjunct instructors who serve our students. In a similar fashion, Internship is a class designed to look at classroom music teaching. As we write our reflections, we collect observation data to analyze our own teaching or that of our colleagues with considerations for best practice. Videos and peer reflections are an integral aspect of the course as we consider aspects of learner centeredness in the classroom. Other courses include Vocal and Choral Pedagogy, both of which aim to understand and develop (and discover) an individual’s singing voice at any age in the solo and choral curriculum and to consider identity issues as well as vocal, musical, and engagement strategies. As my teaching load includes 5 courses, my fifth course in my workload is Vocal Applied Music instruction which I teach every semester. Working with singers at all levels, each year I mentor 15-20 singers annually through the discovery of their voice, musicianship, and performance; in short, their musical identity. Performance and teaching opportunities for the TC community continue to be one of my goals. “Fall Into Music” lessons, offered to all members of the TC community through Teaching Applied Music, culminate in a welcoming, eclectic performance and demonstrate the power of music and shared experience. Along with building community, these lessons encourage lifelong learning and provide opportunities for our music students to reflect and improve upon their teaching. “Musical Serenades” provide further performance options for music students and those outside of the music program who are studying with our instructors. Inaugurated six years ago, these series have grown to five concerts per year and provide a creative outlet for all participants. “Musical Serenades Junior” for our younger community members was added in 2014 as well. Through these concerts, we see a wide range of pedagogic strategies, diverse musical genres, and collaborative music making. Students may also choose to share their musicianship in a solo or chamber recital. As an aside, all doctoral students must prepare a recital as part of their certification process that I advise and review. I also oversee the doctoral aural exam three times yearly. Working with the doctoral cohort students during the intensive summer sessions is another aspect of my position. This degree is focused on helping performers transition and transform into teaching pedagogues and researchers. Most already have college jobs and, as such, attend our program part-time. My responsibilities include aiding the faculty in the application process and fielding questions, interviewing and holding auditions for prospective students, and supporting our candidates during their time here, during the summer as well as via long distance during the year. Establishing relationships to stay connected during the year is an important aspect of a long-distance program. On the scholarly front, I work with many students in giving presentations at national and local seminars that encourage scholarship and research. As such, I have sponsored and assisted in dissertations primarily in the studio aspects of music. Current topics include modeling in the Korean piano studio and aspects of teaching and learning in a class piano setting, a service course offered at universities. Previous sponsored dissertations include Pedagogy for Gospel Singing, 21st Century Music Theatre Singing, Peer Learning Groups in Applied Instruction, and Perceptions of Female Adolescent Singers. In the professional world, I bring this learner-centered approach to engage the field in rethinking our pedagogy and its implications for performance. In working with major organizations throughout the country, I am able to encourage the acceptance of autonomy and artistry. I collaborate with the American Academy of Teachers of Singing (AATS), one of the oldest national professional organizations, to consider new pedagogical and performance practices. The National Association of Teachers of Singing (NATS) also strives to encourage new practice and my work reflects these attempts. For many reasons, our young singers are the most vulnerable to vocal and emotional burnout in part because of the tension between younger performers with late developing vocal instruments (which are only fully developed after 25). Additionally, the annual auditions we have renamed “Festival of Song” to emphasize the communicative aspect of performance and feedback rather than the negative aspects of judgment and competition. 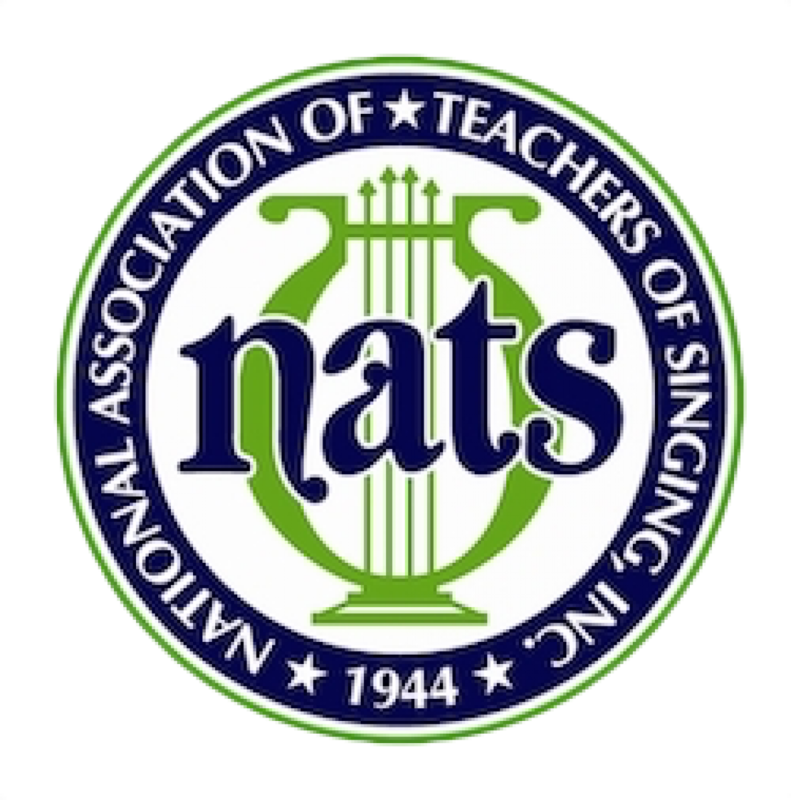 Lastly, I am in the process of establishing a mentoring system with the NATS NYC to encourage learning and feedback among voice teachers in the city. I already carry out this practice of shared pedagogy in my classrooms—regularly my students observe studio master teachers of all instruments—and NATS has asked me to integrate this mentoring system into professional singer training. The triangulation of teachers, directors, and singers is acknowledged through my work at Opera America. Traditionally, the profession has been molded by a hierarchical approach, which creates tension between teachers and directors and leaves singers feeling powerless. My focus on strategic planning is intended to work toward a better-balanced approach and give voice and autonomy to both singers and teachers. Further, as the field of opera performance expands, our pedagogy needs to evolve to support contemporary artists. Old-style pedagogy no longer prepares students for new performance goals. Additionally, I have recently been asked to join the education committee at Opera America to address outreach needs and build new opera audiences. At Opera America, while I work with advanced singers and artists, my medical internships have enabled me to work with artists who need retraining after difficulties in their performance. Because this area of retraining has been underrepresented in the field, it is my great pleasure to research and develop this expertise as a singing voice specialist. I see this continuing need for efficient singing as crucial to our younger singers, given the slow development of their voice and the multiple demands on their voices. I have also been asked to share my work on young voices at the 2017 International Congress of Voice Teachers (ICVT) to be held in Stockholm, Sweden. Further, Every Voice Choir, a choir I co-founded with Director Dr. Nicole Becker, actively works with children from New York to involve them in music on their own terms. As we listen for their voices, we give them healthy options for singing and concert performances. Our January concerts are always dedicated to Martin Luther King, Jr., and social justice; Spring is the time for our celebration of individual voices in original medleys and solo work in the choral context. This year I began a “Young Men’s Vocal Workshop” to encourage male adolescents to sing during their transition years. As graduate students have joined us, we are building a curriculum together to invite participation and music making in our sessions. Perhaps it is best to consider my upcoming plans as efforts and energies will illuminate my path. Given my priority to teach and empower my students, I continue my courses with an additional Vocal Pedagogy II this summer as we work towards research projects that will stretch the field, including transgender singing, vocal burnout in music teachers, and vocal identity in adolescent young women. I will be giving presentations this year at the Annual Voice Foundation’s National Conference (focusing on adolescent singing) and will participate in a new forum entitled Singing Voice Science workshop. Upcoming “Musical Serenades” begin on April 29 and this year we have added a dress rehearsal to provide fresh insights for both performers and teachers. We are collaborating with Thomas Hampson’s Song Foundation to create a workshop allowing educators to develop strategies to engage songs in the classroom. As a follow-up, I will present a recital of songs with piano and cello to celebrate the texts of Toni Morrison, Emily Dickinson, and Langston Hughes in early fall 2016. Further, I have been asked to teach this summer at International Lyric Accademia, a program in Viterbo, Roma (Italy) in opera and music theatre. Singers of all ages are welcome to the program, which offers performance options in art song, opera scenes, cabaret, and full opera productions. One might say that Performance and Pedagogy are two sides of the same coin because they reflect and inform each other. At Teachers College, I appreciate the opportunity to reflect on both music performance and pedagogy to enrich our graduate students, our children, and the artistic community.